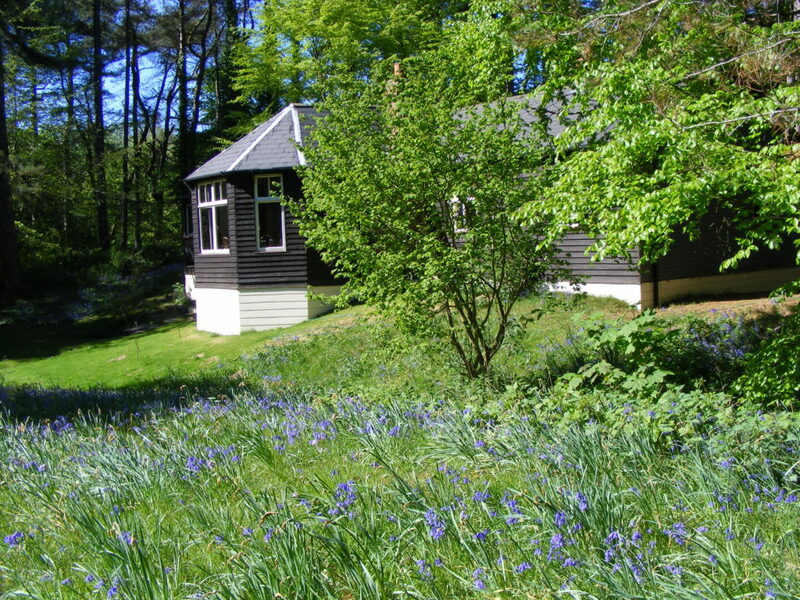 Windy Gap is a wooden bungalow, set within 6 acres of private woodland within the Ainsdale Nature Reserve. The bungalow sleeps eight, and has a large reception room with open fire. Spot red squirrels from the veranda, stroll through pine woods to the sand dunes, play golf at world-famous courses nearby, or hop on a train to Southport or Liverpool. Windy Gap provides a peaceful haven, away from the demands of daily life. 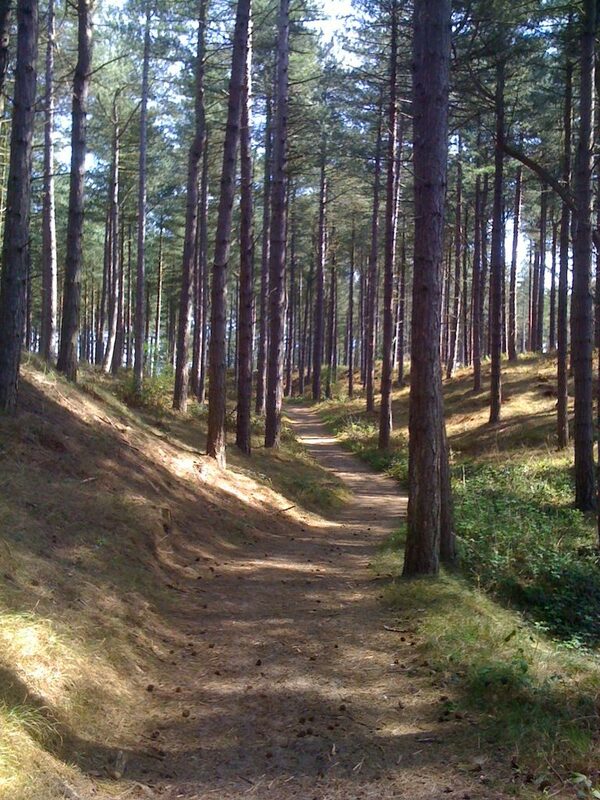 Stroll through the pine woods to the sand dunes – see if you can spot Blackpool Tower! Play French cricket in the garden, or tennis on the private court. Relax on the verandah with a book or spot one of the famous red squirrels. Curl up by the open log fire. We welcome well behaved dogs, and are listed in the Good Dog Guide and Dotty 4 Paws. 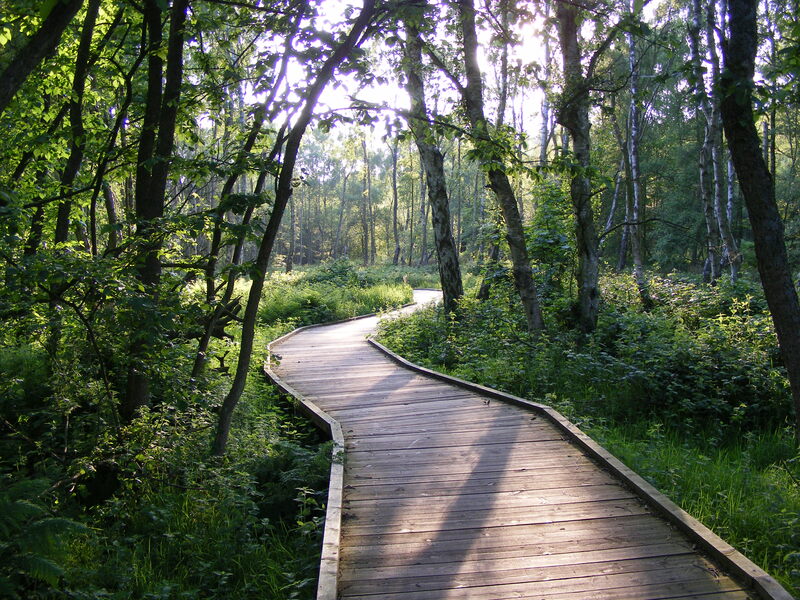 There are fabulous walks right on the doorstep for you and your dog to enjoy. Your dog will have some welcome treats on arrival too. Our first visit after many years of listening to family stories about Windy Gap. Wish we’d started coming here years ago! How family holidays should be - no tv, beach, walks, and lots of laughter. We’ll be back! What an amazing week we have enjoyed at Windy Gap. I can’t believe it’s time to go already. The house was beautifully clean and welcoming as always, and we like the new addition of duvets. We have been blessed with glorious weather, so spent many a day on the dunes. We biked to the beach twice, drove onto Ainsdale beach twice, spent a day in Southport and a day in Liverpool. Our family cannot thank the hospitality of the Woodmans once again, who have made our stay extra special. What an amazing week we have enjoyed at Windy Gap. I can’t believe it’s time to go already. The house was beautifully clean and welcoming as always, and we like the new addition of duvets. We have been blessed with glorious weather, so spent many a day on the dunes. We biked to the beach twice, drove onto Ainsdale beach twice, spent a day in Southport and a day in Liverpool. Our family cannot thank the hospitality of the Woodmans once again, who have made our stay extra special. Wonderful time spent with family, re-living memories through my son. He’s had an awesome time running free and exploring. Thank you to Paul and Margaret for a fabulous stay. What a magical holiday destination! My wife and I with my children have been coming for the last 43 years for a holiday. Even though my children have grown up, Pat and I still love to visit Windy Gap every year. Peace and tranquillity is always assured along with a warm welcome from Margaret and Paul. The house itself is comfortable and well-equipped yet retains the feeling of being from another era. It’s very much a home too (albeit a bit smarter than our real one!). Relaxing in front of the open fire in the sitting room, having tea on the veranda, exploring the pine forest around the house - we enjoyed everything about our time there. I can’t wait to visit again. Private tennis court within beautiful woodland setting, plus world-class Links Golf Courses within easy reach.